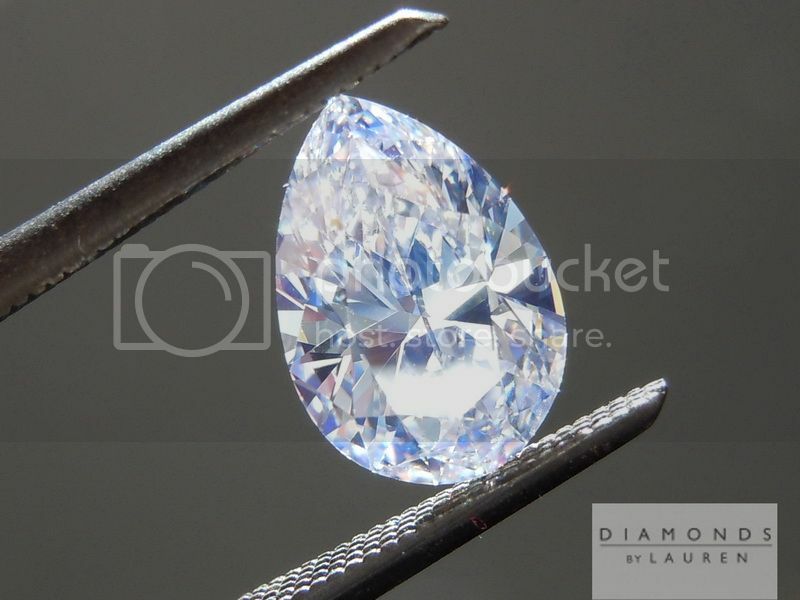 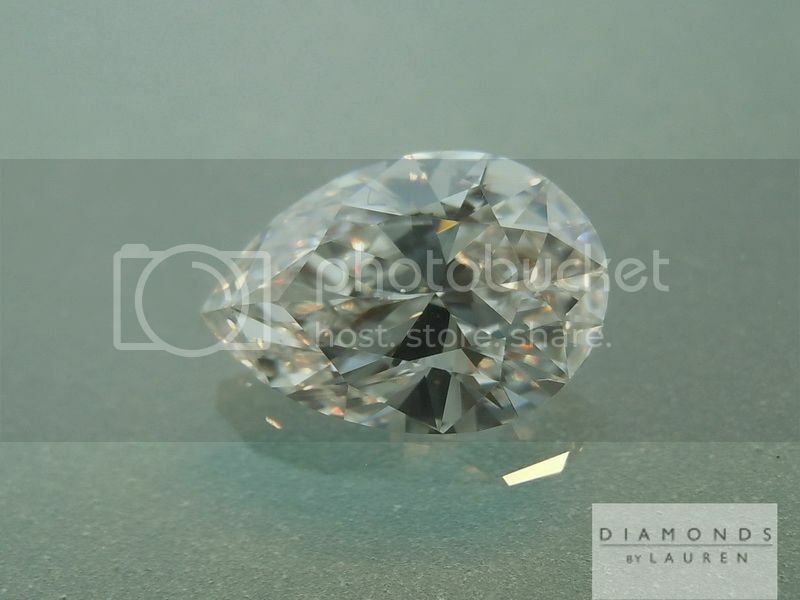 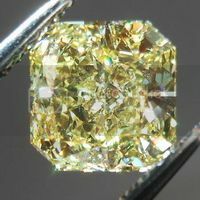 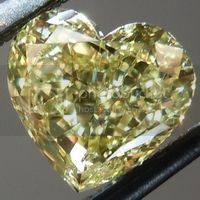 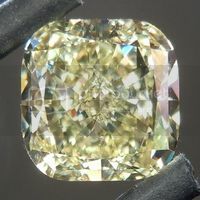 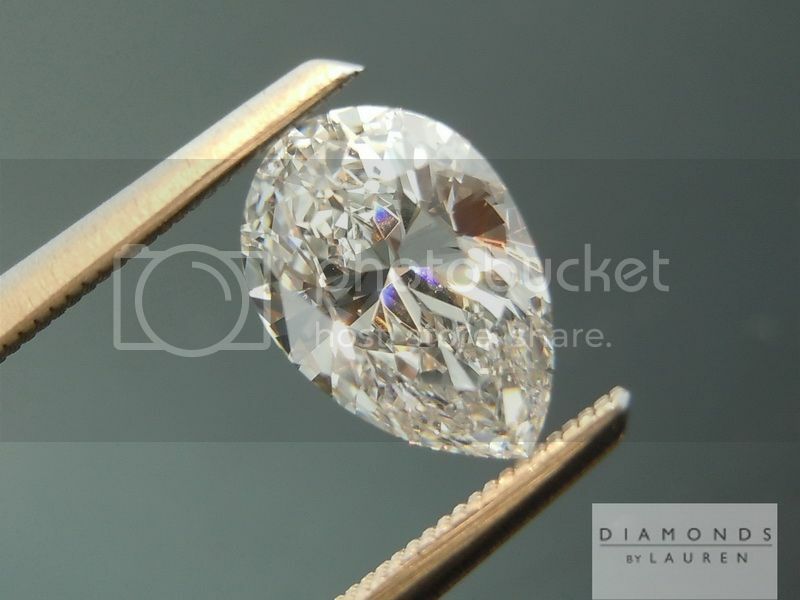 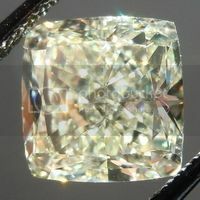 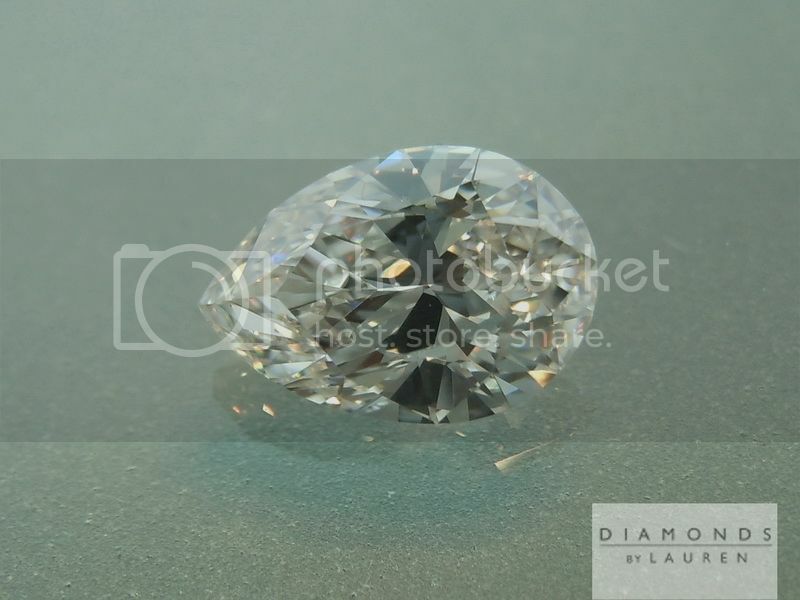 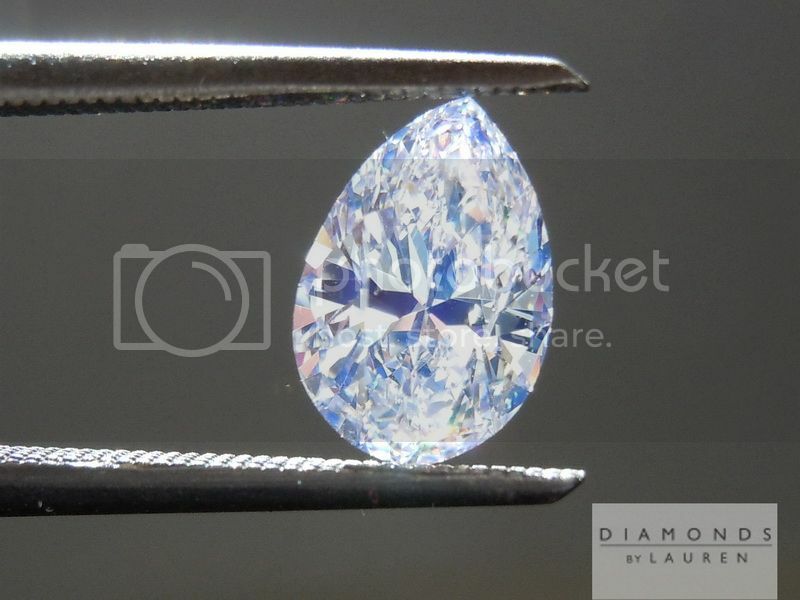 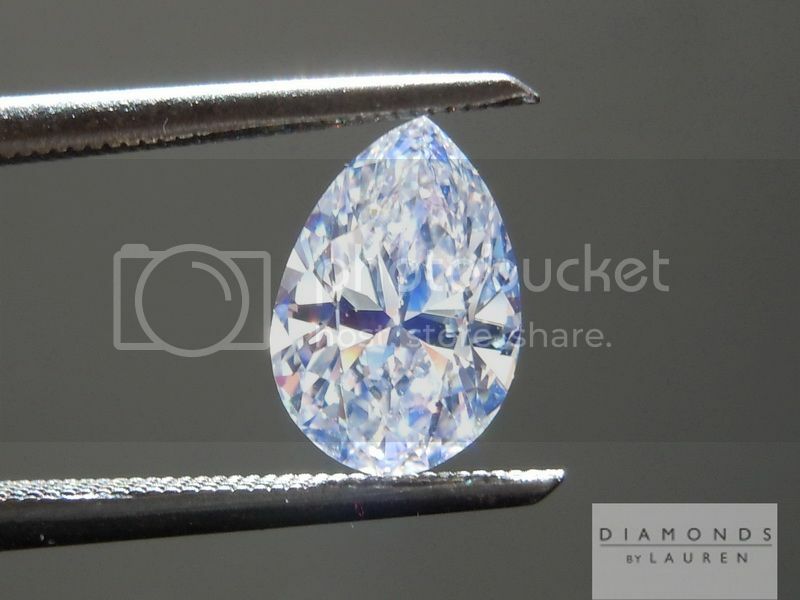 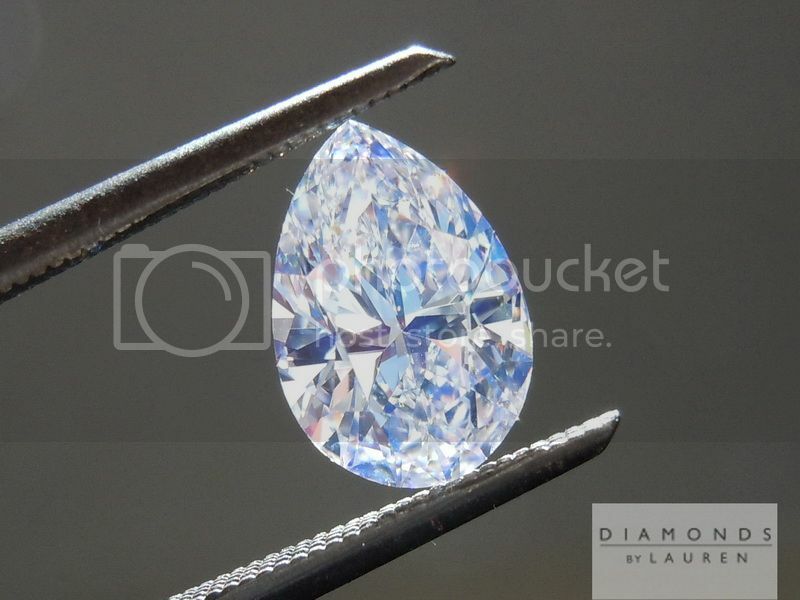 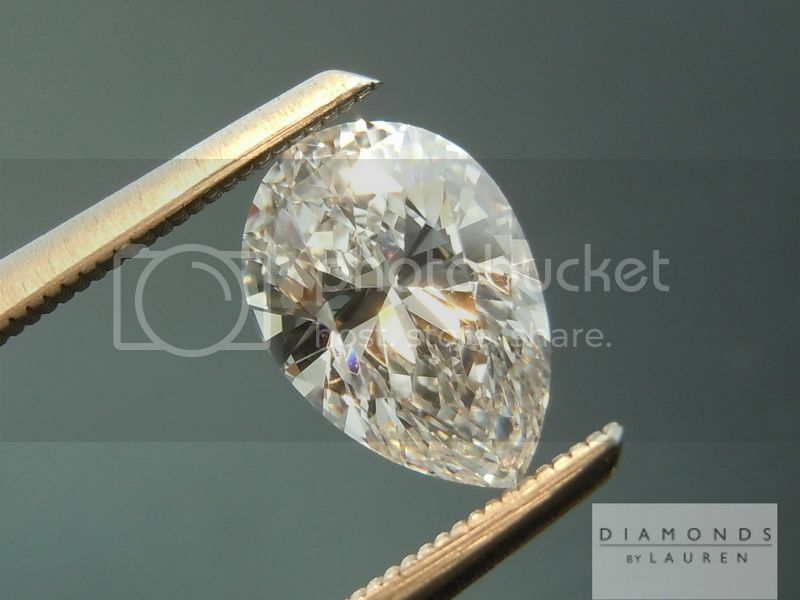 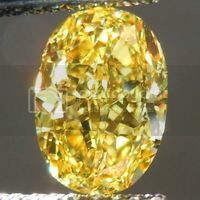 Here is a slighly "chubby" pear diamond. 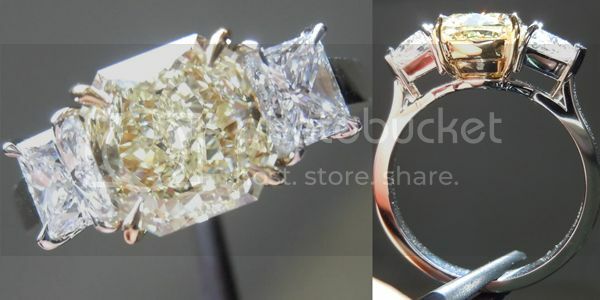 Personnally I love the cut. 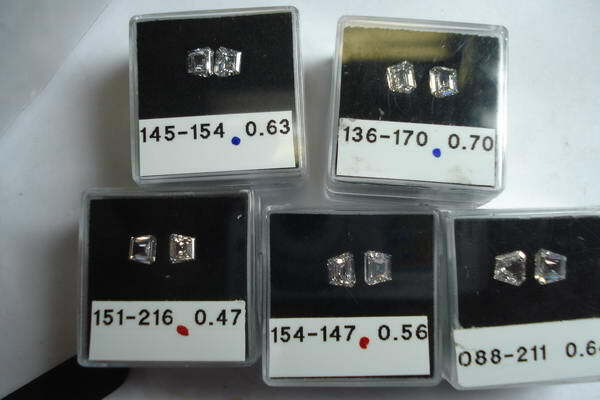 It still has good size for the weight. 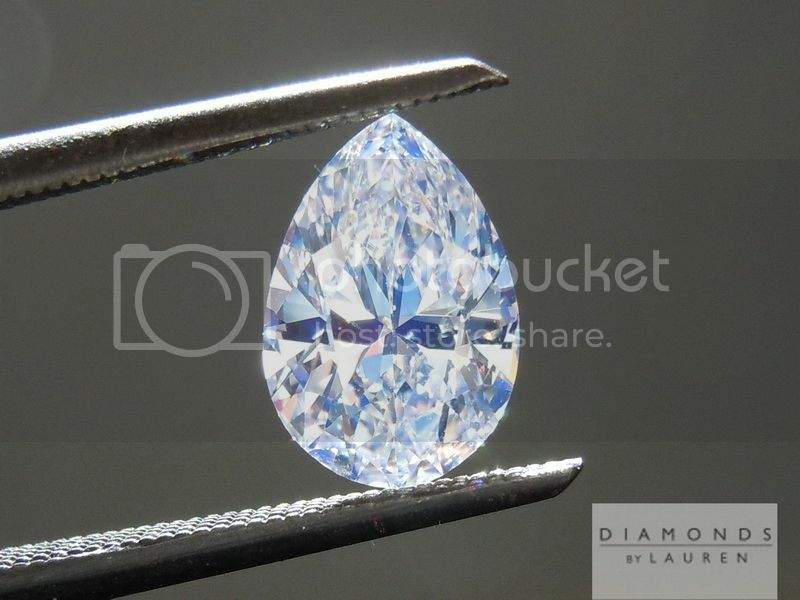 It is a totally colorless diamond - and the "blue" aspect makes it super cool. 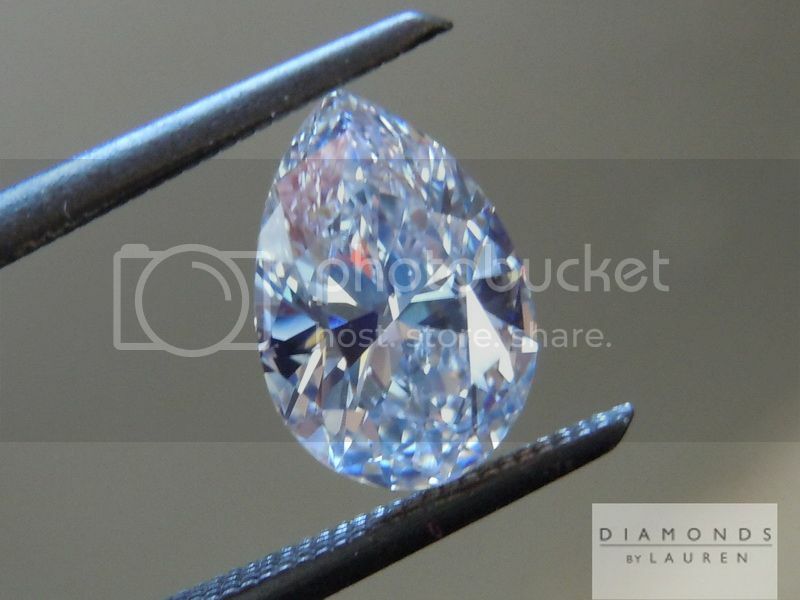 There is no dullness whatsoever, but you can see the blue color in a bunch of the photos. 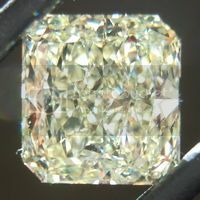 You're getting a price advantage due to the fluorescence- and it is a perfectly eye clean VS2. 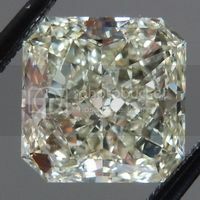 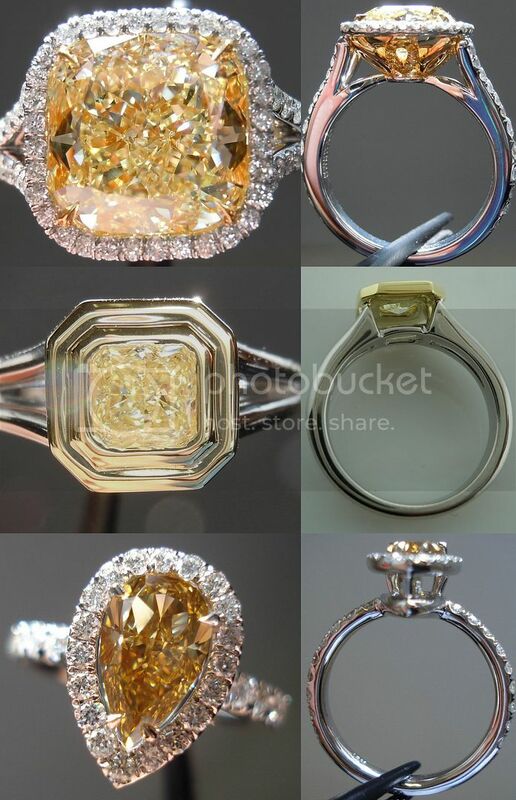 Great stone for a ring or necklace.